The zip archive contains a single file, VFO.EXE. It is a DOS program but it runs fine in a Windows 95/98 "DOS bubble" as well (see screenshots above). 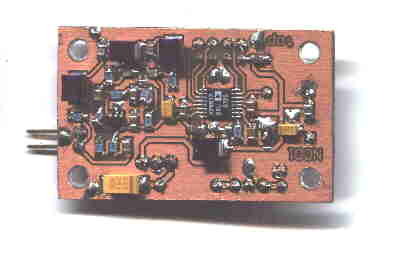 Are you looking for a DDS based 136 kHz longwave transmitter exciter? Calibration: +/- 200 ppm, stored in EEPROM. Almost any 2x16 character LCD module with Hitachi HD44780 controller chip will work.The LCD pin numbers on the schematic are not valid for all LCD modules. Please checkthe actual signal names on your particular LCD module. The selected DFCW frequency offset will be added to the output frequency when theDFCW input is grounded. This input has a weak pull-up in the PIC. 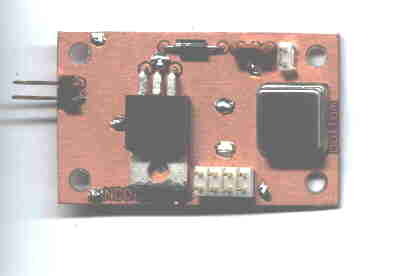 The encoder inputs also have internal pull-ups in the PIC. The switches "LOCK", "DFCW" and "CAL" are momentary pushbuttons.